The former Stooges frontman, who has also had a lengthy career as a solo star, is to air his thoughts on the subject of "free music in a capitalist society" during his speech next month. He follows figures such as Pete Townshend, Billy Bragg and Charlotte Church in delivering the BBC Music John Peel Lecture. This year marks a decade since the death of Radio 1 DJ and music champion John. Iggy said: "I get the feeling that John was the kind of guy who would have done his job for nothing, as long as he felt great about it. "Here was a person with strong opinions and enthusiasms who wasn't defined by any system - because of that his show became an exciting location, kind of like a shop that's a good hang. So it was a social as well as a musical phenomenon." He added: "I've never given a lecture in my life, but on the day I'm going to attempt a discussion on the subject of free music in a capitalist society. This is a struggle which never ends." The 67-year-old, who is famed for performing shirtless, is a presenter of a weekly two-hour show on the BBC's digital service 6 Music and his lecture will be broadcast live by the station on October 13, then screened by BBC4 six days later. 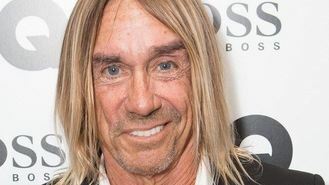 Iggy is known for solo songs such as The Passenger and Lust For Life, as well as Stooges' songs such as I Wanna Be Your Dog, Search And Destroy and 1969. His raw performances are seen as a major inspiration to the punk movement of the mid 1970s. The lecture is part of the Radio Festival 2014, an annual broadcasting event staged in Salford. Radio Festival chairman Chris Burns said: "Iggy Pop has influenced generations with his music and is a fantastic choice to host this lecture. He will bring fascinating insight to the Radio Festival and we're thrilled that he can be a part of it." Bob Shennan, 6 Music controller and director of BBC Music, said Iggy is "an iconic and hugely influential figure in music". He added: "I know Iggy will give a topical and thought-provoking speech which 6 Music listeners and BBC4 viewers will enjoy."